Big happenings in our house this week. 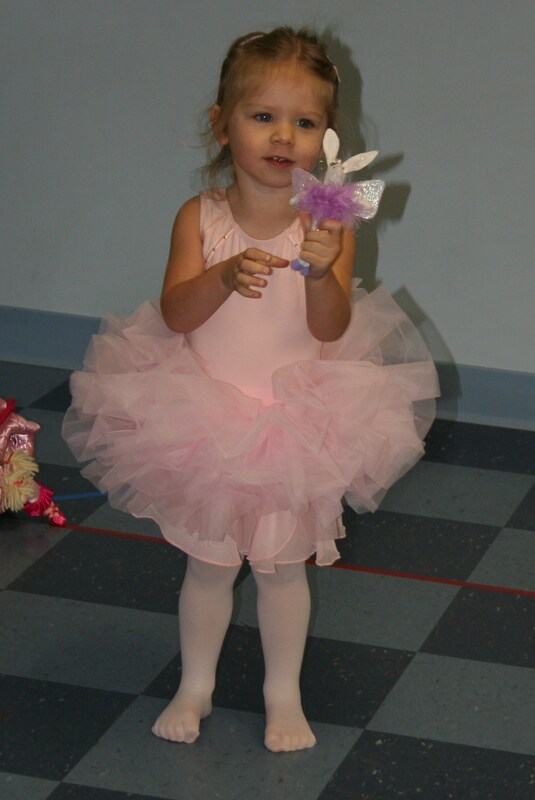 Arle went to her first ballet class today. My baby’s all “growed” up. I found out about the class from a friend, asked Arle if she wanted to take ballet, and she said yes. She then asked if she could wear ballet shoes. It always goes back to shoes around this joint. 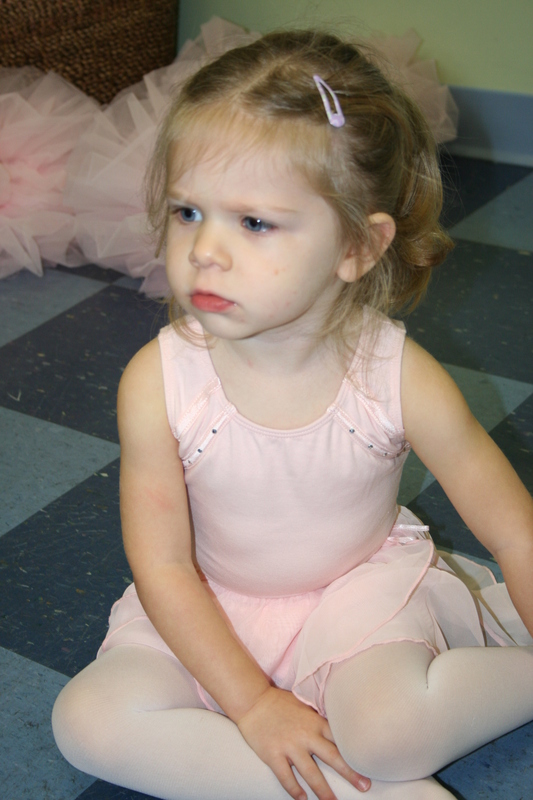 I asked if she would rather do ballet or Gymboree. She said ballet. So, off we went in search of a leotard, skirt, tights, and the all-important-shoes. They sell all sorts of get-ups at the actually studio, but I was trying to avoid spending a fortune for a hobby we don’t even know she’ll enjoy. We found everything but the shoes at Target. Arle was devastated that we came home without shoes and was fretting about it all night. “But I neeeeeed ‘boway’ shoes, my Mommy!” I heard it over and over again. You would think she’s 16, for crying out loud. The class was at 9am this morning and Arle was still dead asleep at 8:40. I finally went in to wake her up and she wanted none of it. Mean mommy that I am, I made her wake up, decked her out in her new ensemble, and off we went. Sans boway shoes. 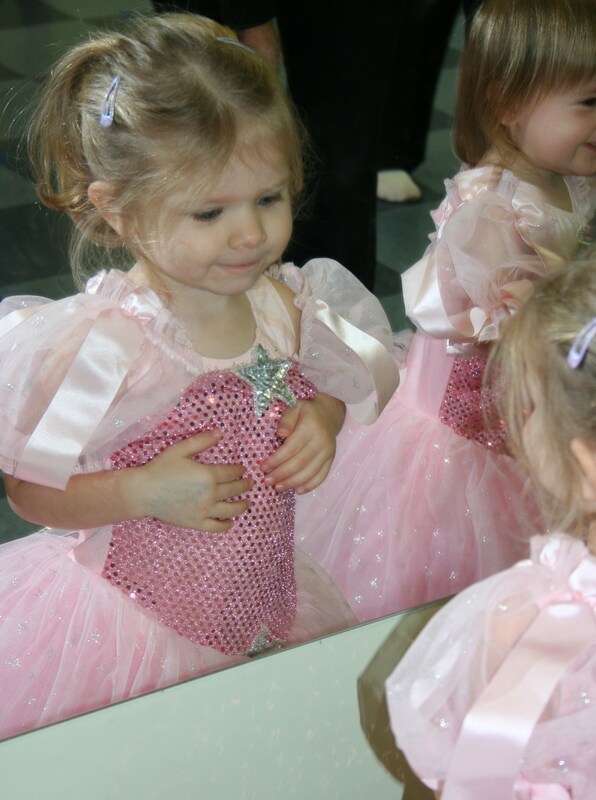 The class is at a place called A Fairytale Ballet. 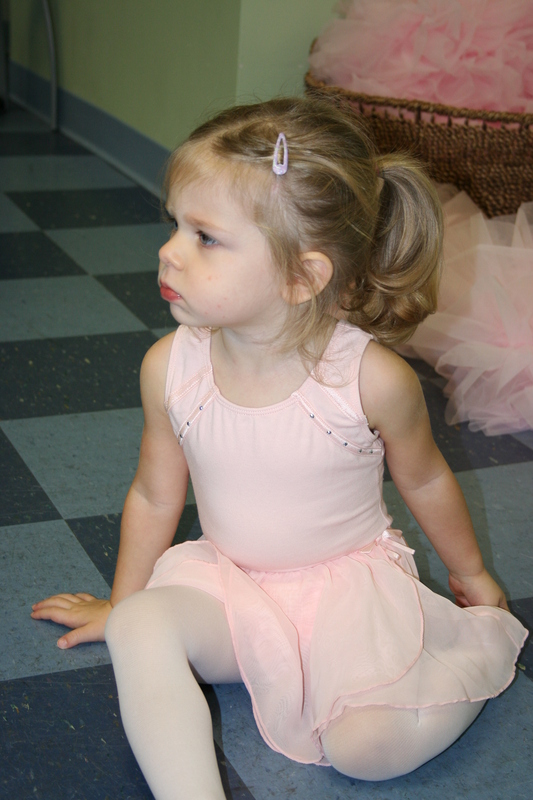 It’s a two-year-old class, and is more about having fun than it is about actual ballet. Each class focuses on a fairytale. The girls put on a fancy princess dress and act out parts of the story while doing some simple ballet moves and learning to listen to instructions and take turns. Today was The Frog Prince day. It was all super cute. Except for the fact that I have to participate. I was told that, for this class, a parent was to stay and help. I didn’t realize that I would have to do all the moves, though. I am about as far from being a ballerina as I am from being a biker chick. And that’s pretty stinkin’ far. I felt like a huge dork, but Arle loved it and, geez, what kind of mommy would I be if I wasn’t willing to humiliate myself for the sake of my sweet, precious child? Arle immediately froze, dropped her frog on the floor, and wanted nothing else to do with the “slimy” Frog Prince. 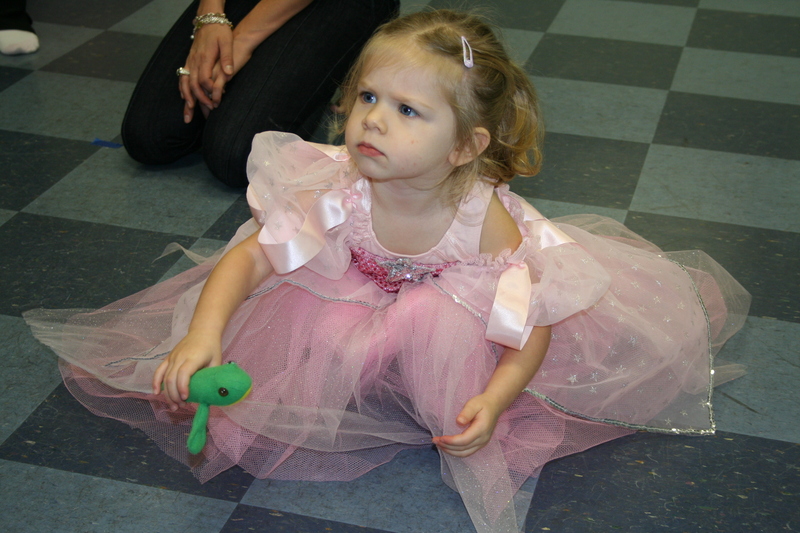 She then stripped off her princess dress and, for the last 10 minutes of the class, sat on the floor with a scowl on her face because how dare that mean teacher give her a slimy frog??? Arle….you are the most beautiful ballerina in the world!!!! I loved the video! I can’t wait to see more of your dancing! Love you all! I love it! Miss K would be absolutely soooo jealous that Arle gets to wear a skirt/tutu to boway! She’s precious! I’ve learned that when pride and mommyhood are far, far apart from one another that is the best time I have with my babies. Acting goofy with kiddos + lots of embarrassment for momma+happy child=Happy momma! 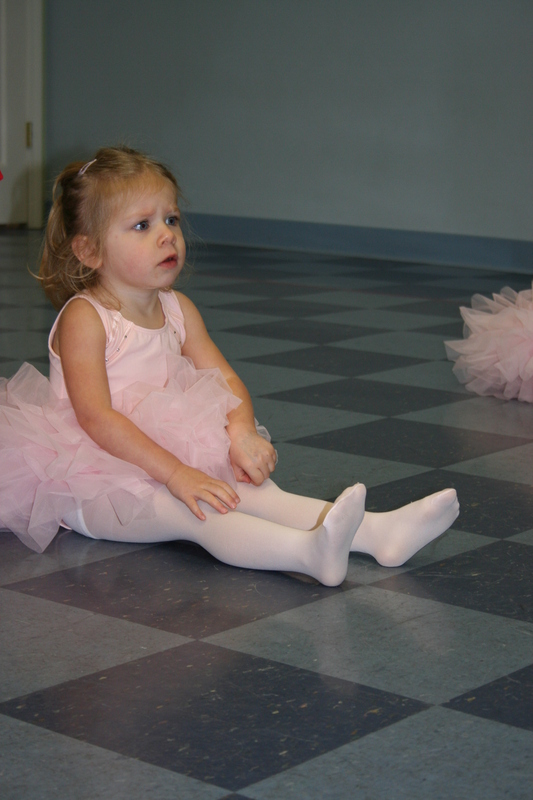 At least you didn’t have to wear a tutu…did you??? These are the days I’ve been waiting for!! Nana can’t wait to come to the first performance!! I, too, agree on the slimy. Who wants warts? 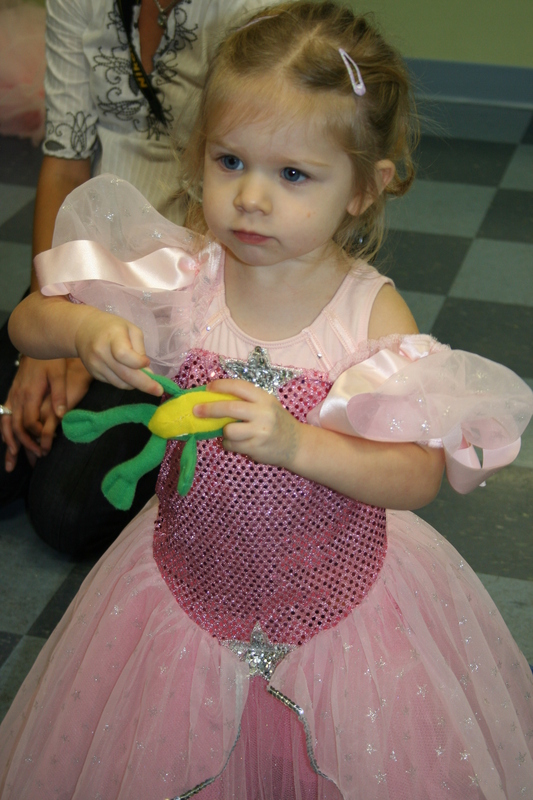 ummm excuse me…why aren’t there any pics of you dancing to the frog prince? that’s what i want to see. Oh my goodness! She is absolutely too cute! It was even cute when she said Boomer Sooner which is blasphemy around this household. That girl is too much!! I love that she loves shoes!! Emerson does, too!! I tell Cammie that’s what she got from her Nan! 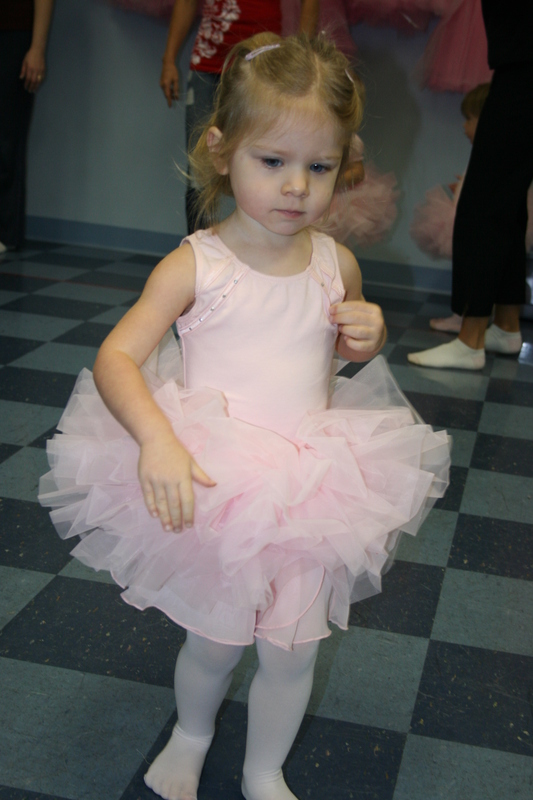 Such fun times dancing with your little ballerina! I also want to see pictures of what Mommy learned!! Oh my I am so glad that you put up a video of her! I can finally see her in action. How freakin’ cute!! I think if you ever take a “Mommy & Daddy” trip you need to drive her down to Little Rock to spend the weekend with me so I can play with her!!! Too cute!! this is too much! i’m in love with that ballet class and that ballerina.